SKU: DF-Brushset. Category: Brush Kit. Perfectly soft bristles in a domed head with just the right about of density & flexibility for easy application of loose and pressed powder. Uses: blending, buffing, baking! Perfect for our Made in the Shade full coverage mineral foundation and our D-Shine banana setting powder. Use it for your powder blushes, bronzers, and highlighters! Compact & fluffy at the same time, the domed head gives you great control for full coverage buffing. 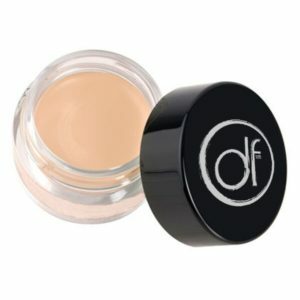 Also great for contouring and can be used to apply liquid foundation. Uses: use it to apply full coverage foundation. Perfect for our Made in the Shade full coverage mineral foundation applied as a powder or liquid. A unique paddle shape makes cream foundations, concealers and cream blushes a breeze. The perfect size, use this brush under the eyes or other areas of the face for blending perfection and to build coverage. The tapered design delivers a streak-free, smooth finish every time. Uses: developed specifically for our Behind the Scenes concealer & corrector but also works well with Made in the Shade powder for added spot coverage. A mini-version of the flat cream concealer brush, this little brush can go where others can’t to conceal under the eyes, dark spots and the get detail work done! 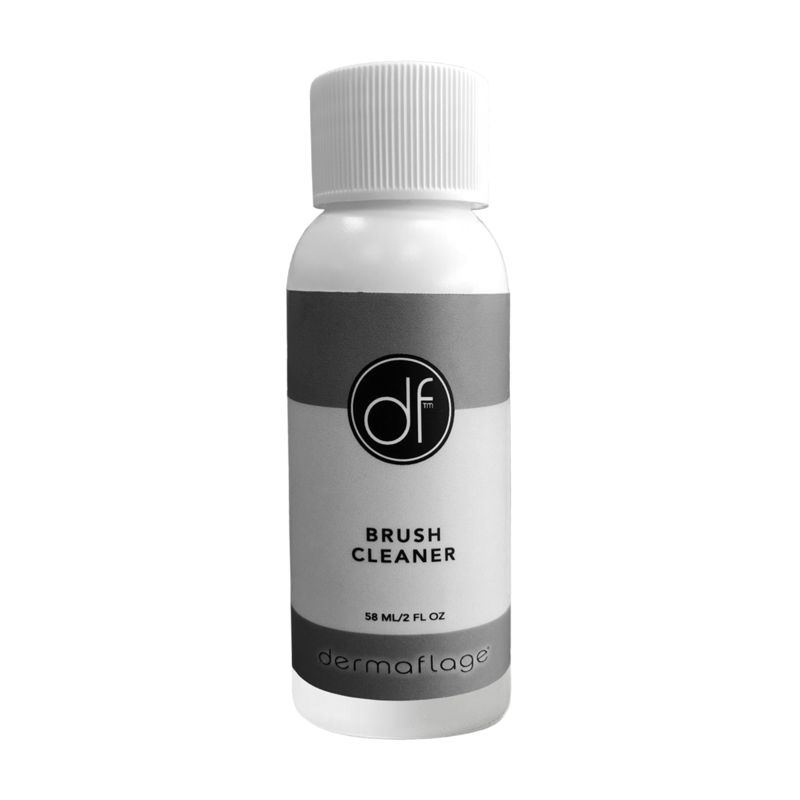 A little bit of Dermaflage products goes a long way and this brush helps you get it just right. There are so many different makeup brushes out there it is difficult to know what you need. We’ve made it easy! 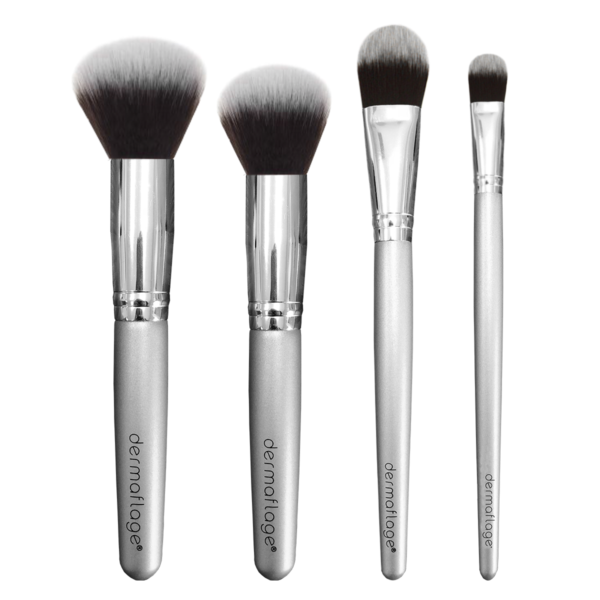 Just the brushes you need for a flawless complexion, none of the others you don’t. Conceal any imperfection instantly and effortlessly with these makeup brush work horses! 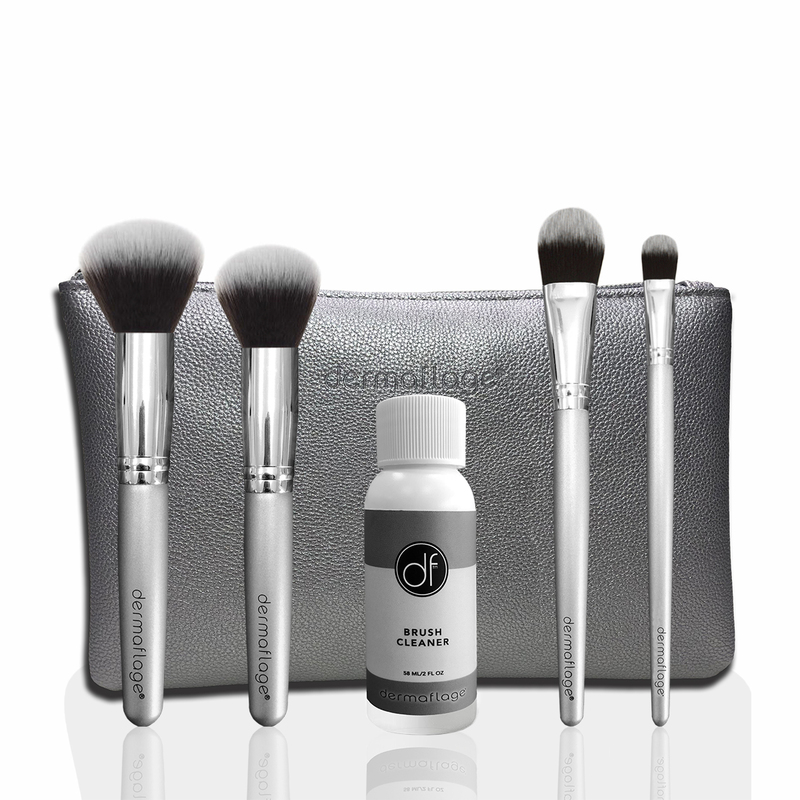 Developed to work beautifully with all Dermaflage products but you will find that they will make the rest of your makeup look better too. The best makeup brush cleaner in the world! Dermaflage makeup brush kit is vegan & cruelty free!